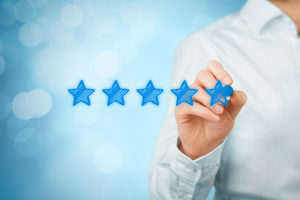 The following review of Americo Life Insurance Company was created with one primary purpose—to help our client’s find the best life insurance policy based on each client’s unique need, health and lifestyle. Is Americo Life the right company for you? If you are looking for Americo Life Insurance Company Reviews, you are in the right place! Americo Insurance is a top rated life insurance company and currently in our top ten no medical exam life insurance companies list and top ten best final expense and burial insurance companies list. Americo Insurance was established over 100 years ago. The Company boasts over 30 billion of life insurance in force. At the end of 2016, Americo Financial Life and Annuity Insurance Company had over $6.3 Billion in assets, with investment grade bonds making up 96% of the companies fixed income investments. Any good review of Americo Insurance will address the Company’s rating. As of 2016, Americo Insurance has an A, excellent rating from A.M. Best Company, the premier rating agency for life insurance companies. In the following section of this Americo Life Insurance Company review we will cover the pros to choosing Americo Insurance as your life provider. Americo offers different types of life insurance policies including term life, universal life and final expense insurance. Americo offers both simplified issue term and universal life under its HMS Plus product line. Level term life insurance with 15, 20, 25 and 30 year terms. You can choose guaranteed for the full term or for five years. Face amounts available from $25,000 to $400,000. If you are diagnosed with a qualifying Critical, Chronic, or Terminal Illness, the accelerated death benefit is payable in one lump sum. Americo also offers an Indexed Universal Life policy that comes with a lifetime guarantee. The product is indexed to the S&P 500. Indexed Universal Life, or IUL, is a permanent life insurance policy, similar to whole life insurance in that it builds cash value. However, the way that interest is credited to IULs is different than whole life. You have an option with an IUL to allocate your funds to fixed accounts or indexed accounts. Although not directly investing in the market, you do earn interest based on the indexed performance of the particular indices. Indexed universal life offer flexible premium payments and you can raise or lower your death benefit. In addition, IULs offer potentially higher returns than whole life. Since you are participating in an indexed account that correlates to the stock market, you account can be potentially credited a much higher interest rate. IULs offer a cap and a floor. The floor represents the minimum guaranteed return. The cap represents the maximum potential gain. Some IUL policies offer uncapped potential returns as well. Accelerated Benefit Payment Rider (UP TO 50% of the death benefit if diagnosed terminally ill). *Riders and Face amounts vary from state to state. Please give us a call for information on the product in your state. In this section of our Americo Life Insurance Company review we will cover the cons to choosing Americo Insurance as your life insurance provider. As with any carrier, Americo Insurance simply cannot meet the need of every client. When you apply for life insurance with Americo Insurance, you are choosing to go with one company. That means if you have some sort of condition or lifestyle that would make you high risk life insurance you better hope that Americo Insurance specializes in that condition.For example, applying for diabetic life insurance. However, each consumer looking for life insurance is better served by choosing among the bet options available and not focusing on only one company. That is where we come in. We at TermLife2Go have a recommendation for anyone considering a life insurance policy from Americo Insurance. Give us a call and allow us to spend some time with you to help determine if Americo Life is the best company with the best price for your specific life insurance needs. If the company happens to be the best fit for you then great. However, with dozens of the best life insurance companies to choose from, you might save thousands of dollars over the term of your insurance policy by going with another life insurance provider. Thank you for reading our article, Americo Life Insurance Company Reviews. Please leave any questions or comments below. We’d be happy to give you a call, but you didn’t provide a number. Hello, i been a member of Americo going on three years, i have a question about my policy. My question is if i was to cancel my policy would i get my money? That is something that I’m thinking about do is stop my coverage, how would i go about doing that? While we do offer Americo products, once our clients purchase a policy all payments and paper work is handled by Americo directly. For this reason, we’re not be able to answer any questions about your policy simply because we don’t have access to that type of information. That said however, you can give Americo a call directly at 800-752-1387 and they will be able to answer any questions you may have about your policy. – What “types” of life insurance policies your mother can qualify for? – How much life insurance coverage your mother is looking for? – And what state your mother lives in? So, if you’d like us to give you some suggestions on “which” life insurance companies might be best for our mother, just give us a call and we’d be happy to help. would like to receive additional info about a life and final expense/burial policies. We’ll have an agent reach out to you via email with any potential options that may be available to you. do you really do this for free? How do you survive? I found this old policy in my file and wondered if it is still good. TermLife2Go operates as an insurance brokerage which means that we don’t actually have access to an individual’s life insurance policy once it is put into force. To learn more about a particular policy that has been issued by Americo Life Insurance Company, you will need to contact them directly.